We were looking to avoid two sets of travelers in Bali. The first was the drunk Australian; normally found in the south beaches that have become trashy and yet more expensive in the last few years due to the crowd it draws. The second (more innocent) group is the divorced middle-aged woman hoping to find herself. 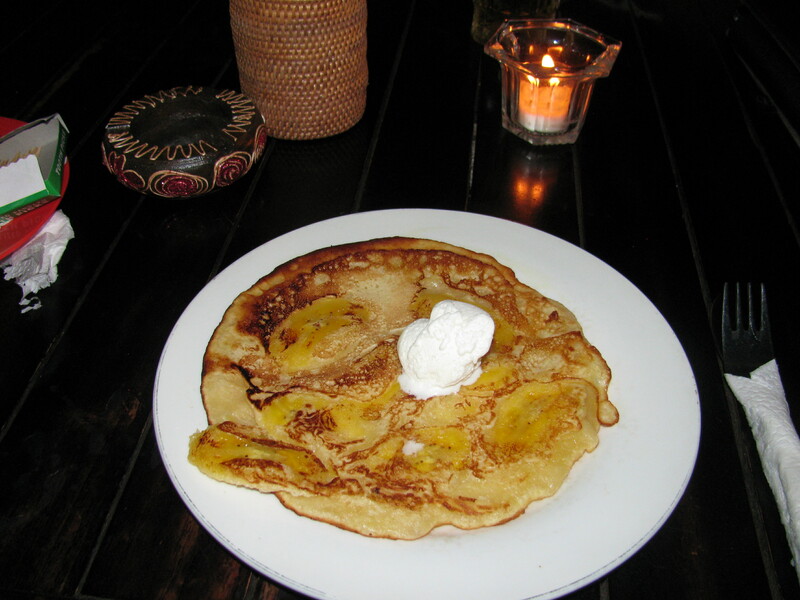 “The Eat, Pray, Love” phenomenom has created an explosion of this narrow type of tourism. You can spot them in cafes writing their memoirs. 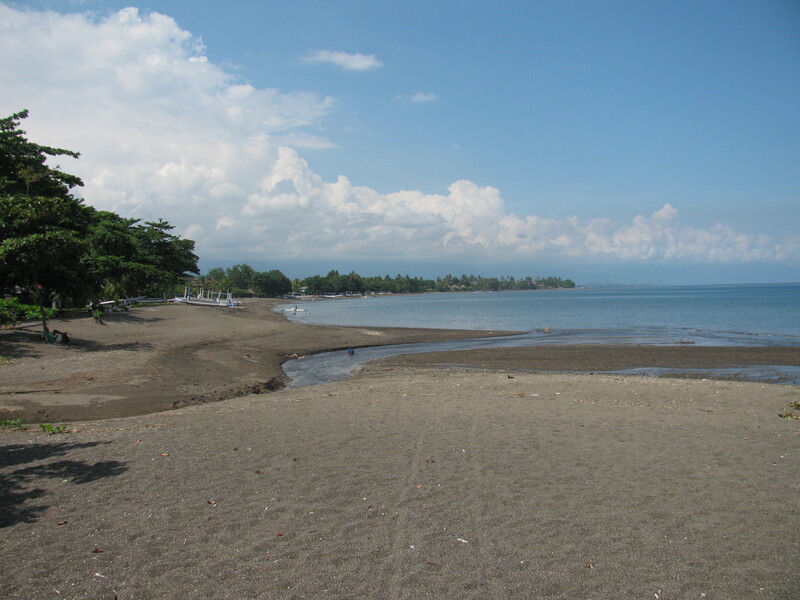 So we headed to a volcanic beach in the north called Lovina. This is a western named town meaning “love for Indonesia” but not many travelers seamed to have love for this place during our visit. Bali was experiencing low-season in general, but we wondered if this place even saw much love in the high season. Our hotel probably had 4 of its 30 or so rooms filled. It seemed like a town that had once seen a boom and was now slipping away. Lesson #2: How can it take 3 hours to go 120KM (75 Miles)? Answer: It doesn’t. That’s the suggested time. It takes 3.5 hours. We were lucky to have a driver picking us up at the airport that would take us to Lovina for less than a taxi price. We were unlucky to arrive during rush hour. We spent the first hour and a half of our drive stuck in Denpensar moving roughly a car length every five minutes. The second hour we went at a decent speed, mostly on the wrong side of the road passing cars as oncoming traffic came directly at us in what felt like a never-ending game of chicken. Luckily our driver, Gede, seemed to be very responsible and so we watched these encounters mostly unmoved. The third hour was all winding mountains. At this point I became quite nauseous. Tim did better, but it’s hard for anyone to handle a drive like that well. We were so hungry when we got into town at 9pm that we put our stuff in our room and ran to the first restaurant we saw for dinner. After coming from Australia where a burrito was $18 it was hard to gauge value in Bali. Our bill came to around $20. The next day we looked at other restaurants that had similar fare for 25,000 Rupees. Our meal bills averaged around $7 after that. 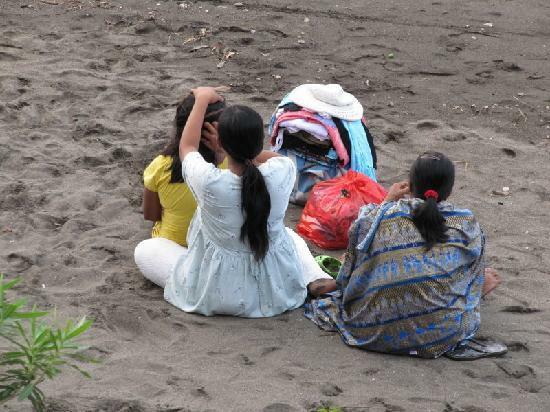 When we first got to Lovina and walked on the beach I was surprised that we were not harassed more as we walked along and got our bearings on the town. As we turned around and walked back the people seemed to show a mild interest. They descended on us quite carefully and asked our names. I continued walking and gave them a kind smile, but they continued to ask, and here is an interesting phenomenon: when someone asks your name, you feel incredibly rude not offering it. So Tim obliged, and then they continued to ask me and I told them mine as well. As we enjoyed breakfast in our hotel for the next three mornings we were treated to “Teem…Teem…you want to see dolphins, yah? You look at my stuff now? We give you good massage…?” They yelled these things from the beach on the other side of our hotel gates. At one point I did offer an insultingly low amount of money for a sarong and it seemed to get them to leave us alone. 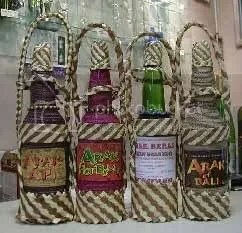 Arak is the Balinese rice wine. It has far more in common with moonshine than wine though. You drink Arak with orange juice or coke. If you’re brave you order an Arak Attack – which is a very sweet and sour drink which mixes lime juice and a few other things with the booze. A glass will normally set you back $2 and a hangover. Despite all this, Lovina was a lovely stay. We found some of the few backpackers in town and had fun. We saw mountains, rice fields, dolphins, and temples and it was a great introduction to Bali and Southeast Asia. They could use a few more visitors though, so drop by sometime. Great updates and pictures. Keep them coming. We need more updates regarding Tim’s fitness adventures. We’re jealous of you guys, even the part on the beach in Australia. So did Tim get the massage?? Just kidding. Wanted to let you know how much I’m enjoying your blog! the high rise … we were put on 7th or 8th floor which was pretty funny. dining rm. It was a bit weird. So, where to next? Are you both well? You are 3/8 down on trip, right? still most looking fwd to ?? This was a useful blog post – thanks! My partner and I are returning to Bali for another visit in a fortnight and we’ve decided to spend just over a week of our time in the Lovina Beach area, which we’ve never visited before. Thanks, It’s great to hear of people who are still reading my posts and getting tips and inspiration from them. Enjoy your time there.